One of the sacred tourist destination of Puri , Beleswar (alternatively spelt as Beleshwara) is a small village situauted at 14 kilometers from Puri on the Puri-Konark marine drive road. The exact geographical location of this village is LONGITUDE 850 94’ 22” E and LATITUDE 190 83’ 13” N. Beleswar is famous for both religious sanctity alongwith scenic beauty. It is famous for the Lord Beleswar Temple. This temple is dedicated to Lord Shiva and he is worshipped here as Beleswar. In ancient time, puri was a place of Saiva worship. 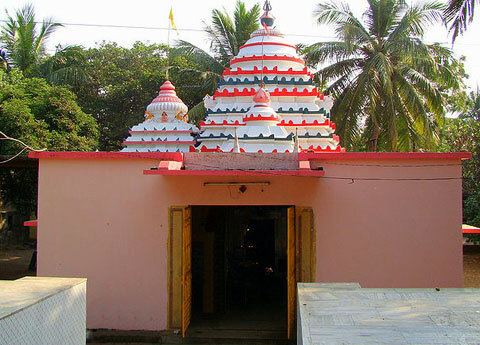 From architectural point of view, Beleswar temple is not important but from the religious point of view, it is one of the famous Shaiva shrines of Puri. Mahashivaratri is the famous festival celebrated here. On this day thousands of devotees arrive near the temple to offer their prayer to Lord Beleswar with great devotion.